Cofelia’s Second Adipose | Barbie Who? 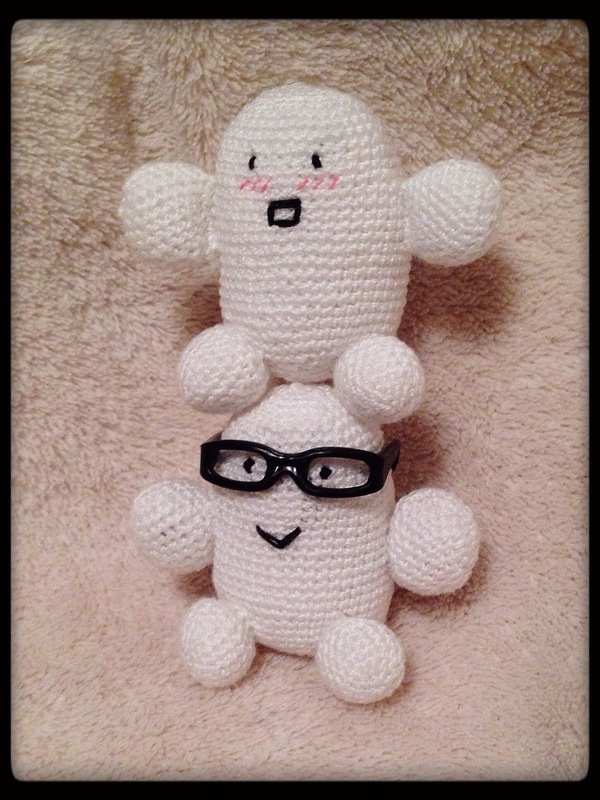 I may be a bit crazy for doing this with all the Cofelia craziness, but I had to make a second Adipose. The first one needed a friend, and I needed something to crochet away the nervous energy caused by the shoe debacle. 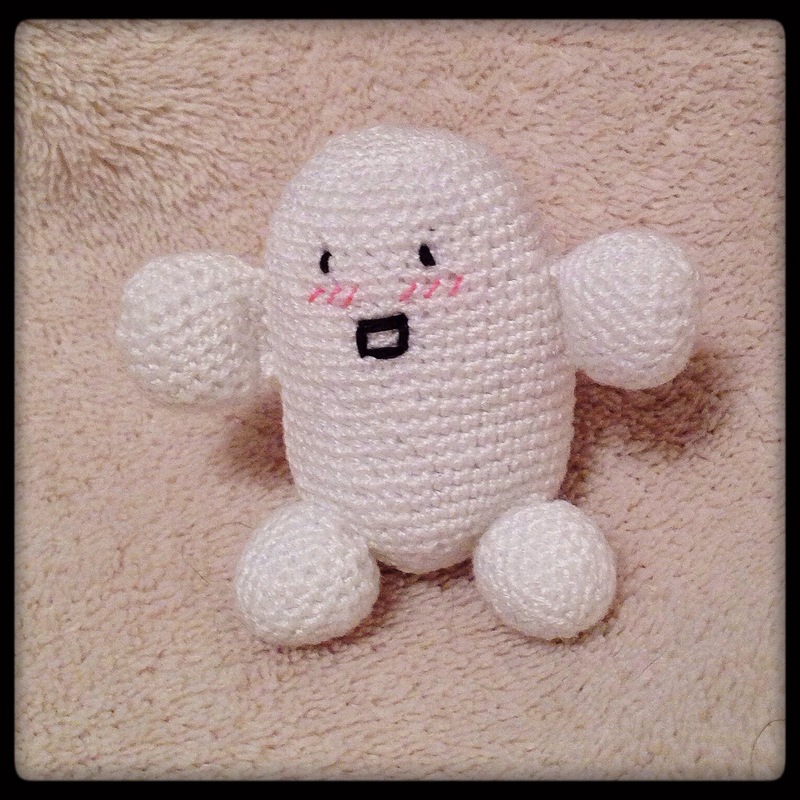 Out of that, I created this adorable little Adipose over the last few weeks. This one is slightly different than her older brother. She was crocheted with the same pattern and the same size 30 crochet the head, but she uses a size 12 (1.00 mm) crochet hook. This change makes her a bit smaller than the first Adipose, but only by a few millimeters. I also used a white felt backing when embroidering the face so that the threads on the inside wouldn’t bleed through. This gives a much cleaner look that I am very happy with. I decided to be a bit creative with her face. I saw a picture on Pinterest of an Adipose with anime-style rosy cheeks (the link was broken, so I don’t have a link to share). I decided to use those cheeks with a surprised expression on the face to differentiate her from her brother. 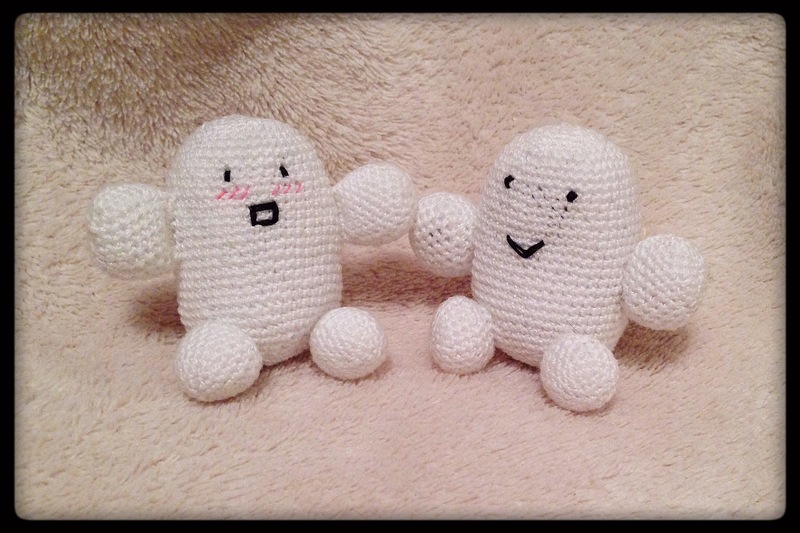 This little Adipose is easily the more troublesome of the pair. On the stocking front, I have finished sewing one of them. Yay! I hope to make time to finish the second one in the next few days. I learned a lot while making the first stocking, so hopefully the second one will take less time to complete. I will update once I finish it.